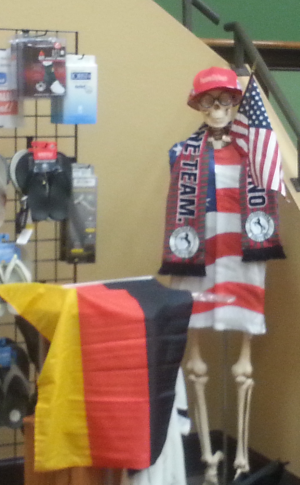 We have the Soccer spirit at First Choice Physical Therapy!! We are very excited about the game. Even those of us that don’t usually follow the sport. Fortunately we have our own German import, Simon Haussmann, who is making sure we understand the nuances of the game. Though each of us might lean towards one team winning over the other team, the friendship everyone here has for each other should keep things from getting too ugly as we root for our favorite. We all agree that what we want the most is an exciting game highlighted by some awesome shots. Here’s hoping both teams play the very best that they can!